Is very common at this time of year especially in a place like Hobart where there is so much grassland, trees and flora close by. Some people even suffer these symptoms all year (Perennial Rhinitis). It is found that Tasmania has the second highest rate of Allergic Rhinitis in Australia. These grasses, plants and flowers have pollens that blow around in the Spring breeze and cause irritation to our nasal passages, respiratory system and sometimes eyes too. They can cause us to sneeze, get itchy watery eyes, have either a blocked nose or excess nasal mucus and perhaps a post nasal drip. They can cause you to feel fuzzy in the head and our concentration suffers and sleep can be interrupted also. Many people complain of not feeling refreshed even after a long solid sleep. Our body reacts to these air born particles as they are foreign bodies and issues an immune response with the compounds called Histamines. 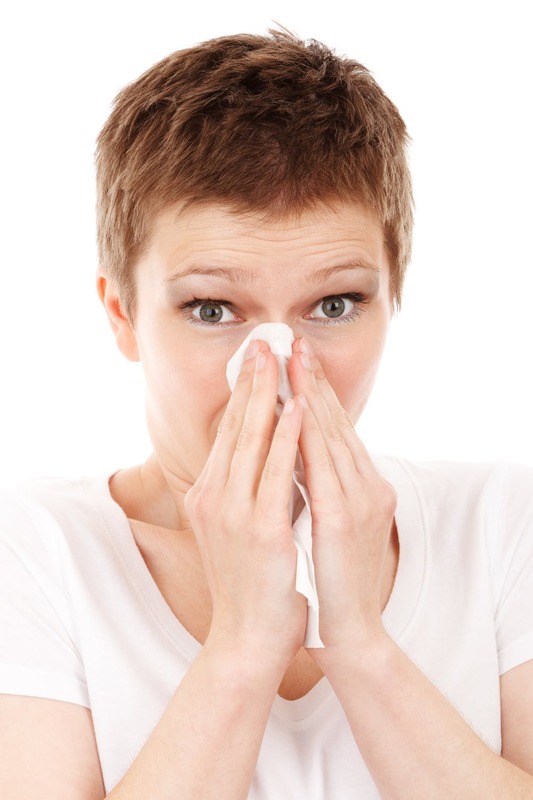 There are several common medications that are used to combat all the nasty hay fever symptoms. Anti Histamines- can best combat the itchy eyes, nose and throat and constant sneezing. Anti Cholinergic Spray- can decrease secretions to stop a runny nose. Corticosteroid spray- relieves congestion by narrowing blood vessels and decreasing inflammation. Immunotherapy- Introduces regular doses of the allergen to your body so over time your body gets used to it and lessens its immune response. All of these medications and treatments can be very effective at symptom control, however, they can have side effects such as drowsiness and headaches. Despite having some effect on symptoms these drugs do not target the cause of the problem. Acupuncture (and Chinese Medicine) as a whole always looks at the whole body to see what is happening and why. In the case, Hay fever an Acupuncture treatment would, of course, target the symptoms but it would also be looking at the immune response and help the body regulate it so the body can become more resilient to these airborne irritants. There is research to support the effective use of acupuncture for hayfever (McDonald,J and Janz,S 2016). Acupuncture can help relieve the acute symptoms of Hay fever and also help the body so it doesn’t happen as much in the future. An Acupuncture treatment for Hayfever would typically require needles to be placed on the body and face. If this sounds daunting to you, please be comforted by the fact that many, many people fall asleep during their treatments as it is so relaxing. A typical course of Acupuncture can be from 6-10 treatments but we are never exactly sure how many treatments anyone needs until they are assessed by their practitioner. Treatments usually start off quite regularly then over time as your condition improves the treatments can become more spread out until they won’t be needed again. If you have any more question, please feel free to contact our reception to book an initial consultation with me at (03) 6122 0150.